The M.A.R.S. 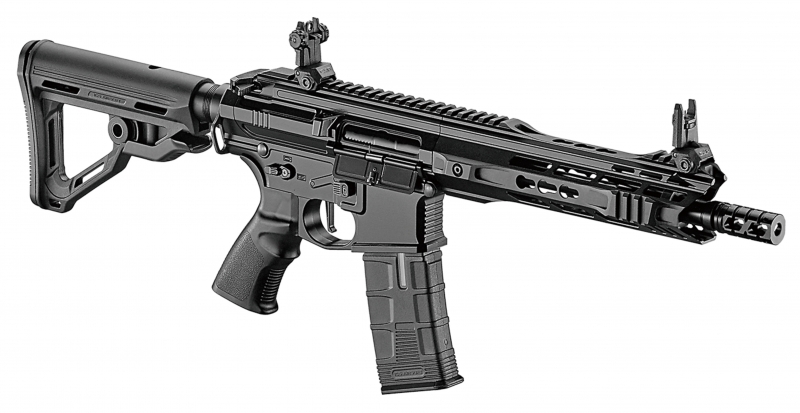 has a full metal CNC machined receiver giving it an aggressive look and geometrical surfaces, a design that complies with the standards of AR-15 components. The MARS Lightweight Keymod Handguard is a modern-looking design built in high-quality aluminum alloy and engineered to handle the hardest and most demanding use of tactical and competitive shooting. It is also CNC machined and coated by hard anodizing for added durability. 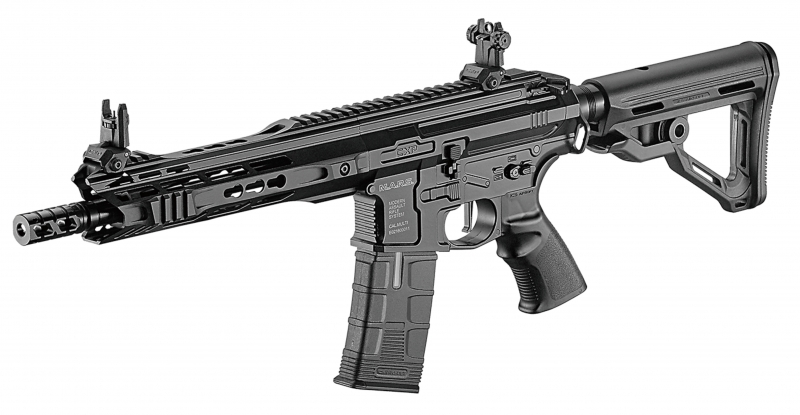 The MTR Stock is lightweight comfortable and ergonomic and is fitted with QD sling mount points. Tough ABS plastic flip up front and rear sights. adjustable for height and windage. New electronic trigger that allows programmed 3 round burst mode and voltage check. Electric blowback system for added realism. Fitted mossfet for increased trigger response and electrical reliability. Ambidextrous fire selector and magazine catch. Fitted single point sling fittings. Includes ABS plastic 300 round magazine. 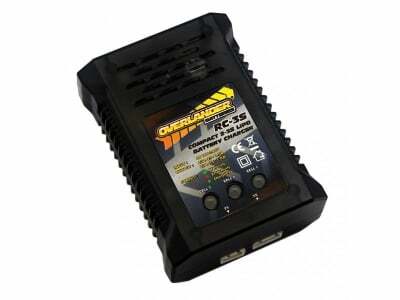 S3 not only has MOSFET but also an electronic trigger that allows programmed shooting modes. It has also incorporated self assessment and self protection features, and will help the internal parts to last even longer and to perform much better than before. The S3 system is a completely brand new system. 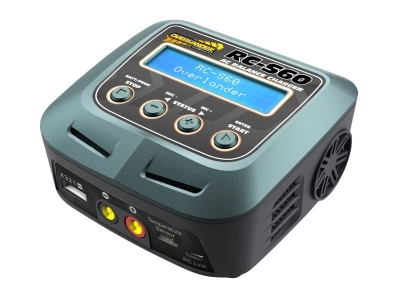 Overlander RC-S60 AC 60W Li-Po Balance Charger Discharger.